There are many different options for individuals and families effected by California Wildfires to maintain health insurance coverage. Fortunately in California there are many safeguards to help individuals and families displaced or affected by the Butte County Camp Fire and the Woolsey Fire in Los Angeles and Ventura Counties to maintain health insurance coverage. But with the variety of different plan types, health plans, and government agencies, it can be difficult to know who to contact for assistance or what options people have to maintain some sort of health insurance coverage when they have lost their home or job. Below is an overview of the different types of coverage and where you might be able to find information and assistance. A top priority for maintaining health insurance is reporting your new residence address and any new mailing address, which may be different from where you live. If you have Original Medicare Parts A and B you will still be covered regardless of residency or income. Usually the premiums for Part B medical insurance are deducted from the beneficiary’s Social Security check. If you pay your Part B premium quarterly because you are not taking Social Security you may have to contact Medicare if you have not received an invoice. As of November 17, 2018 we are in the Annual Election Period for renewing Medicare Advantage plans and Part D prescription drug plans, which runs through December 7th. If you do nothing, and the plan is still being offered, it will automatically renew. Premiums for the Medicare Advantage and Part D prescription drug plans can also be deducted from Social Security retirement checks. If you receive a monthly paper invoice you will want to contact the carriers of the plan if you are not able to receive mail. If you have a Medicare Supplement plan, contact the carrier and notify them that you may not be receiving mail and may not be able to make the payment on time. More than likely Medicare and the health plans will provide extra time to make 2019 selections for people affected by the fire. Call or check the health plans website to see if they announced any help or delay for people paying their premiums. If you are eligible for both Medicare and Medi-Cal, the costs that Medi-Cal covers should automatically continue. If you are being displaced outside of your primary county for an extended period of time, you need to contact either the Medicare Advantage plan or Medi-Cal. (Part D prescription drug plans are generally statewide.) Medicare Advantage plans are county based. If your new residence is in a new county you will receive a Special Enrollment Period to switch to a Medicare Advantage plan offered in your new county or state of residence. If you are enrolled in MAGI Medi-Cal, California’s version of expanded Medicaid under the ACA, and you are still residing in your original county, you should have no issues. If you move out of your county then you need to notify the county of the move. The Medi-Cal HMO health plan you have in your original county may not be offered in your new home county. 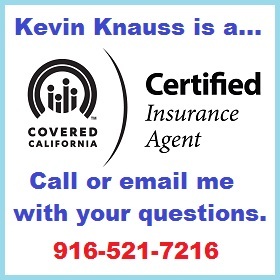 Medi-Cal enrollment based on your MAGI (Modified Adjusted Gross Income) is open year round. If you have lost your income because of the wildfires, either because you lived in the affected area or your employer was impacted, you can apply for Medi-Cal. You can do this by contacting your county’s social services department or starting an application through Covered California. You do not have to have had previous health insurance in order to qualify for MAGI Medi-Cal. It is based on your income, not your assets. If your household income is below 138% of the federal poverty level (FPL) you most likely will qualify. If your reduced income is under 266% of the FPL, but over 138%, and you have children under 19 years of age, they will qualify for Medi-Cal. If you have employer sponsored health insurance, but can no longer meet the minimum number of hours to maintain health insurance through the company, you can apply for Medi-Cal or an individual and family plan. Involuntary loss of coverage is a qualifying event to enroll in an individual and family plan either directly with a health insurance company or through Covered California. You may be eligible for the ACA monthly premium tax credits to reduce your monthly health insurance premiums through Covered California. If you have a health plan that you enrolled in directly with the health insurance company there is only a 30 day grace period in order to make your premium payment. If the premium payment was due November 1, and it is not paid by November 30, the plan will be terminated. Check your carrier’s website or call them to see if they have a mechanism to give you more time to make your premium payments because you have been impacted by the wildfires. Don’t assume that if you can’t make your payment by the end of the month they will retroactively restore coverage. Contact your agent to assist you with learning more about any assistance or grace periods for your health plan. Under Covered California terms members have up to 90 days to have their health plans reinstated for nonpayment. The health plan will be technically terminated after 30 days, but if you can make all the back premium payments, the health plan will be reinstated and pay on any claims that may have been rejected for termination. It is important to report the change of address because the health insurance premiums may be different in the new region or your current health plan may not be available in the new county or region. Butte County is in Region 1 with several other Northern California counties. You will have to have moved out of a Region 1 county in order to trigger a Special Enrollment Period. Anthem Blue Cross health plans are only offered in Regions 1, 7, and 10. So if you move to a region where Blue Cross is not offered, you’ll have to select a new plan and carrier. Blue Shield offers health plans in all 19 regions. But you still have to report a change of address to Blue Shield. You may be offered the same plan at a different rate if your move to a new region. The Woolsey Fire in Los Angeles County was in Region 16. If you move to Region 15 of Los Angeles or another county, you will get a Special Enrollment Period. Ventura County is in Region 12 along with Santa Barbara and San Luis Obispo counties. You would have to move to another region to trigger a Special Enrollment Period. California is in the Open Enrollment Period for 2019 for individual and family plans. You have until December 15th, 2018, to enroll in a health plan that begins January 1, 2019. You have until January 15th, 2019, to enroll in a plan effective February 1, 2019. Open enrollment dates apply to both Covered California and health insurance plans purchased directly from the carrier. Be on the lookout for announcements that extend the deadline for individuals and families affected by the California wildfires. If you are in Covered California, you can adjust your income lower at any time and you and your dependents may be determined eligible for Medi-Cal. SAN FRANCISCO (November 9, 2018) – Blue Shield is closely monitoring the wildfires in Butte, Los Angeles and Ventura counties, and the nonprofit health plan is offering the following services to help ensure members in affected areas continue to have uninterrupted access to care. Blue Shield vision plan members in affected areas can obtain a replacement pair of lost or broken glasses, and can use out-of-network providers as needed with claims paid at in-network costs. Please contact Vision Customer Service for assistance, 877-601-9083. In addition, Heal, an on-demand physician house call service, is providing free doctor visits to those affected by the wildfires – including first responders – regardless of insurance status. Heal will see patients in their home, office, hotel or other location within the service area. These services will be available free of charge through Friday, Nov. 16 at 8 p.m. PT. Those who use the service should use the coupon code CAFIRES72 on the Heal app or Heal.com. We know that many of you may be dealing with the damage caused by the California wildfires and we want you to know that Anthem Blue Cross is here to help. If you need direct assistance with finding available care providers, prescription refills or replacements, and/or any other health insurance related matters, please call 1-888-831-2238.